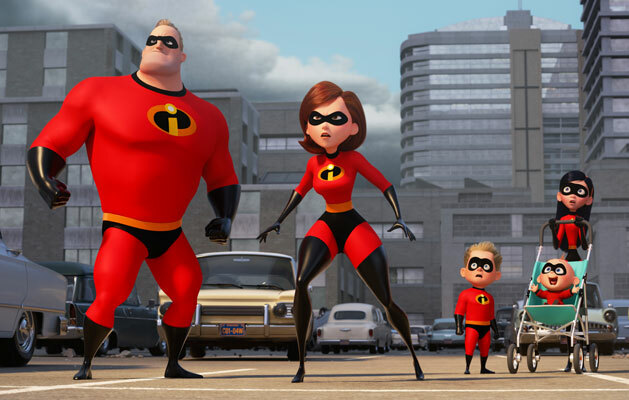 After a fourteen year lull, the Incredibles 2 finally hit the big screen with everyone's favorite superhero family. 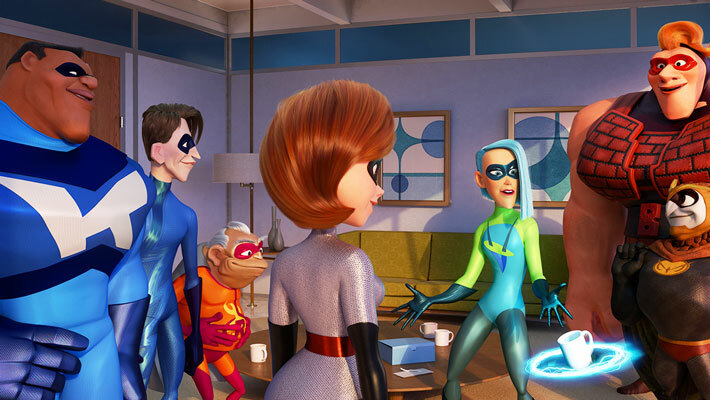 Following the changing societal landscape, a much-needed traditional role reversal for Elastigirl and Mr. 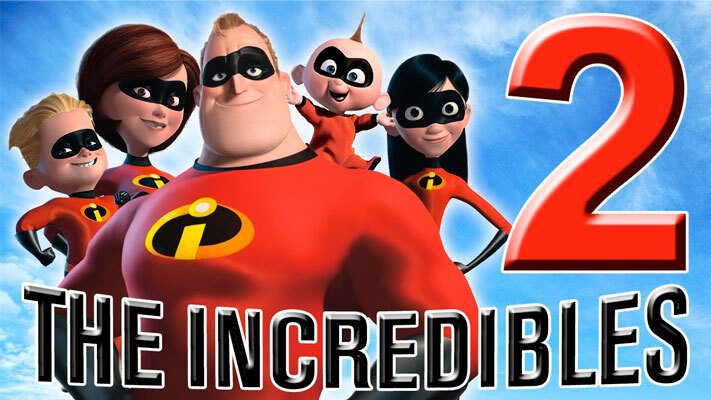 Incredible introduces a whole new level of super story telling. This time Helen Parr goes out to save the world while Bob holds town the home front. Helen clearly enjoys getting out the house, stretching her powers and clobbering the bad guys. After an momentary identity meltdown, Bob waves his wife off, thinking this job is going to be a piece of cake - after all, how hard can it be, taking care of kids and a house? Dad doesn't have a moment of down time before chaos becomes the new normal: Faced with teen romance, a bored super boy and an ever-changing super infant, even dad's best buddy, Lucius, can barely keep order. 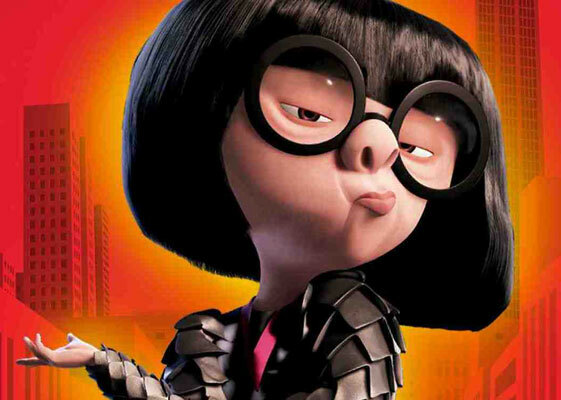 But not to worry, Edna - the supremely confident and capable designer, can handle Jack-Jack, while dispensing salty advice and cutting-edge super hero outfits. There's enough action and humor, together with surprises and a new crop of Supers, to keep audiences entertained. Much has been made of the time lapse between sequels, but the only noticeable difference is the inclusion of gender balance in story and screen time for our amazing family. 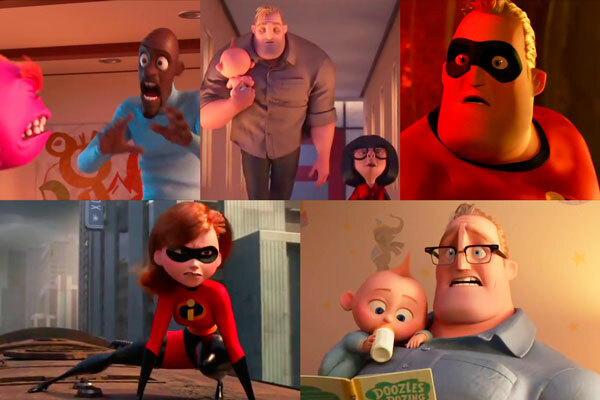 The Incredibles franchise is a thrilling experience - especially in 3D - for families and adults who never tire of keeping the world safe from well-armed adversaries and their dastardly evil inventions.